One indicator of this is that the number of parishioners has been stable for some ten years now. In contrast to that, though, we host a striking number of visitors who, while booking their hotels from abroad, discover via the internet that we are the nearest Catholic church to their accommodations. Therefore, Christ the Savior very often welcomes newcomers who attend the Sunday Eucharistic celebrations. In addition to these intentional visitors, we also welcome a good number of haphazard visitors: those who are simply passing by our building and come inside out of curiosity. In any case, even the name “Christ the Savior” has been credited as playing a role in attracting believers and other people. Christ the Savior Church is located just about two miles from the well-known Taipei train station. It resides amidst a busy shopping area in the Wanhua District. 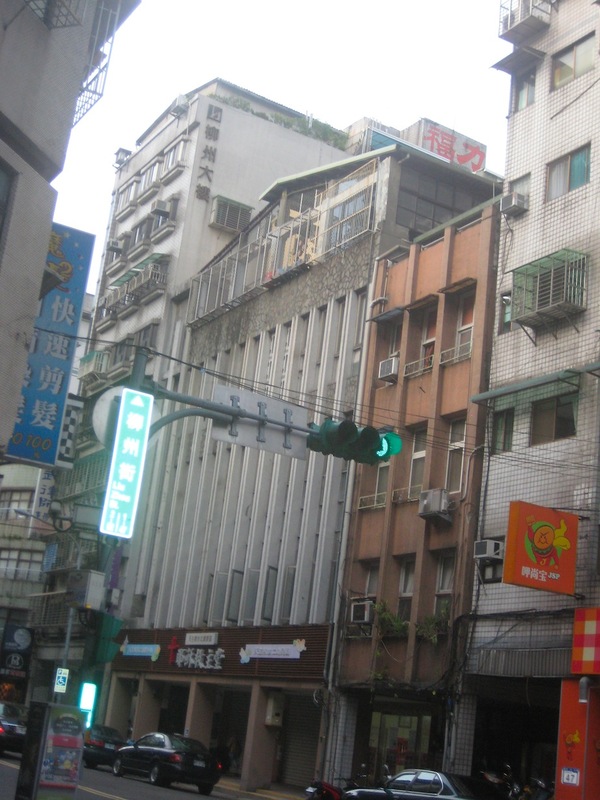 It is also situated between two great tourist attractions: Longshan Temple and the Ximending neighborhood. Taipei tourists can easily locate the church once we tell them that it is near Ximending, which is a popular shopping district of the capital. 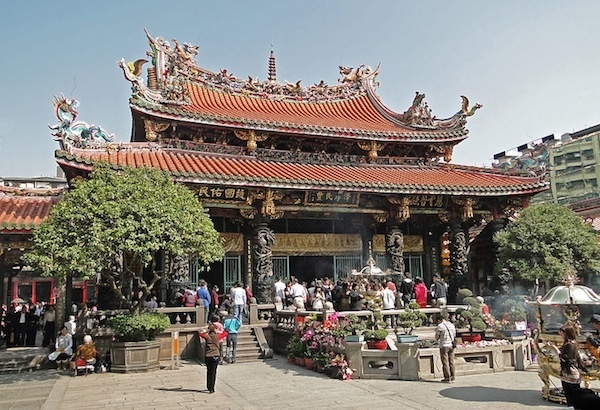 The Longshan Temple, known for Taiwan culture and history, is a Buddhist monument that attracts people for worshiping. At the Chinese New Year, it is very crowded with both locals and foreigners alike. Visitors can learn a lot about Taipei culture when visiting these places. Foreigner visitors come from many different countries, but a large portion of them are from Malaysia, Hong Kong, and Singapore. Built in a very lively part of town, the church structure is a five-story building. The church facilities comprise the whole second and part of the third floor. The first floor houses the Shih Jen preschool. The remaining space constitutes a facility for persons with intellectual disabilities. The centerpiece of our church activity is the Eucharistic celebration. Our regular Sunday Mass is attended by the Catholics who live nearby, as well as several who have moved from the district but can readily commute. From time to time, our parishioners also invite non-Catholic friends to attend our Mass, and some go on to become catechumens. The archbishop encourages the non-Catholic preschool teachers to participate in the church activities as well. Besides the Sunday Mass, other public celebrations take place on weekdays. We usually have a large Christmas celebration with the Shih Jen preschool. I am then invited to say a homily, and the children seem to appreciate hearing stories. Their teachers and parents may even be moved by a good homily, so we consider this an important moment to convey our identity. 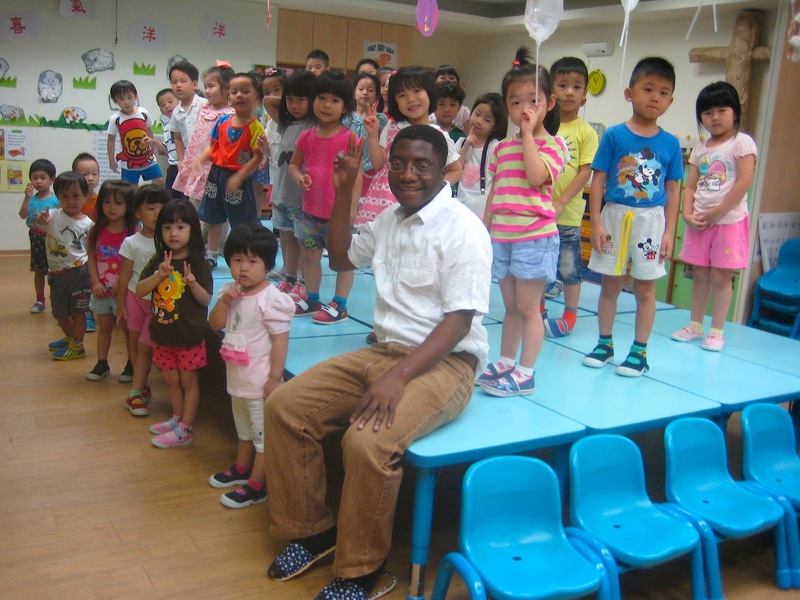 I also visit the preschool at other times and holidays throughout the year, and regularly pray for the children. It is a frequent happy surprise to be asked to bless the people I encounter outside of the church. At Easter I was invited to give blessings to several people: either spontaneously in public or specifically to come to their homes. I find it encouraging and meaningful when non-Catholics and Catholics alike are drawn to our practices and honor our beliefs. 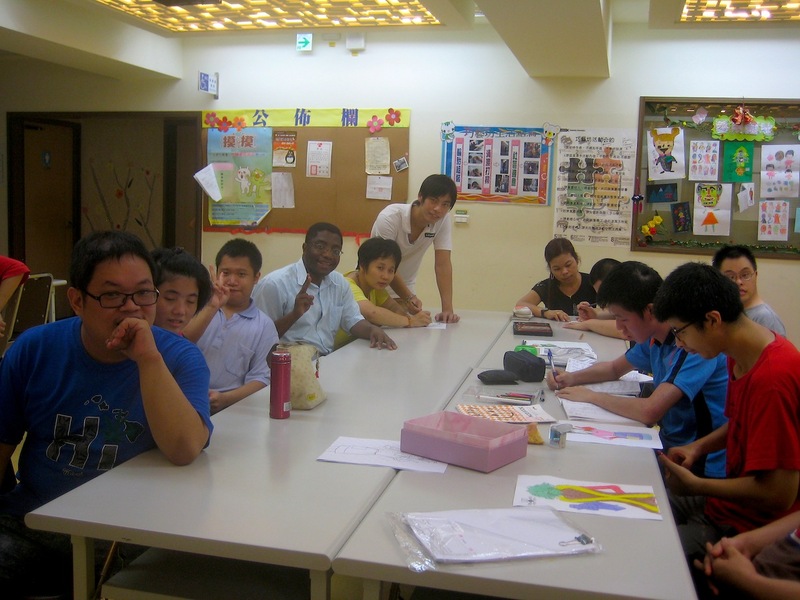 The center for intellectually disabled persons engages members in art and other activities, as well as offering training in basic cleaning and baking skills. The center also uses the church on a regular basis. They gather at least once a month for meditation and meetings. The meditation is conducted with lighted candles, and I am invited at times to give a homily. While most of the people involved with the center are non-Catholics, they have a high regard and respect for the Church and for the sacred. The statue of the Virgin Mary is particularly venerated. Our church has a well-functioning credit union, with a dedicated space for the members to gather and conduct business. It is run by lay people, many of whom are non-Catholics. In attending some of their gatherings, I have realized that the model of the credit union is close to the Gospel: “Do to others as you would have them do to you.” (Luke 6:31) It is by helping others that help will be available for you. I hope this spirit continues to pervade their work. The credit union members gather one Sunday a month, following the Eucharistic celebration. We enjoy slightly higher church attendance on those days because the non-Catholic members attend the Mass as well. We are always grateful for their participation. We recently held a special wedding ceremony. The bride is a Catholic and the groom a Taoist. The preparations were very intense because many people were expected to attend the ceremony. 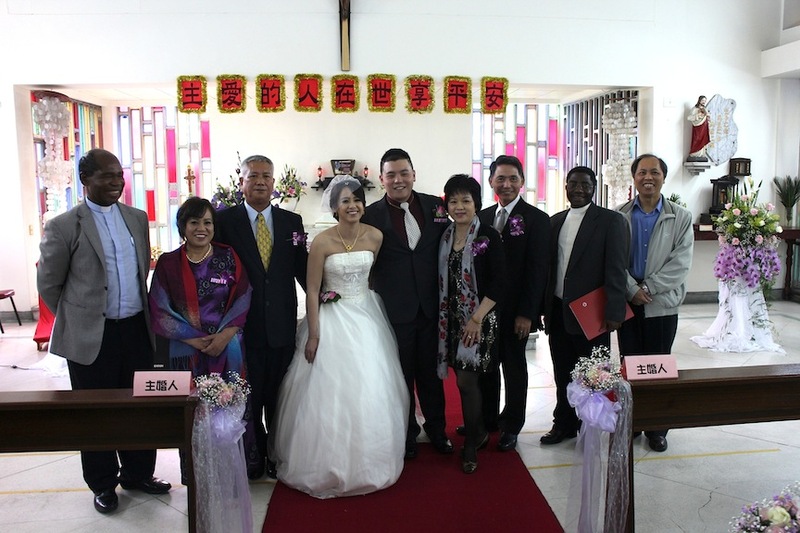 Following the Catholic ceremony, a Taoist wedding was scheduled at another place. 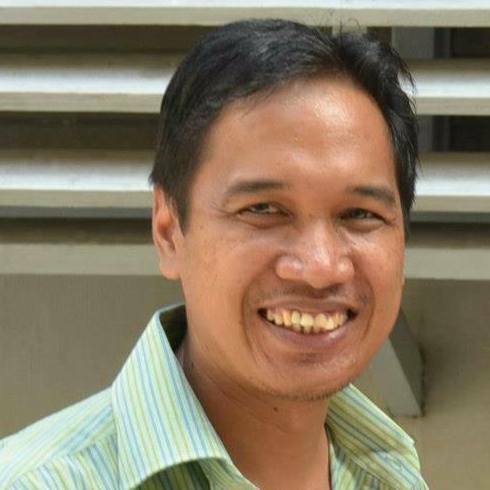 While I was the main celebrant, the couple also invited a priest from another diocese, who is close to the bride and her sisters, to say the homily. The ceremony was simple but enjoyable. An atmosphere of brother and sisterhood was established among the gathering: members belonging to different churches, religions and denominations felt a common joyous bond. At the end of the Mass, a parishioner remarked that accounts of the day would likely bring more weddings to this church! While our little church resides in the middle of the bustling, largely non-Catholic Taiwan capital city, we are blessed to encounter people who take an interest in learning more about Christ the Savior. Our membership is small, but each interaction with a parishioner, visitor or passerby represents an opportunity for the message of the Gospels to be heard, felt, and possibly carried out to others in our world. Whether our church is a sanctuary for our members, a novel point of interest for information seekers, a meditative refuge, or simply an enjoyable wedding celebration site, people discover here the spiritual beauty of being in the presence of the modern disciples of Jesus. No matter the reasons that bring people to our small church, the most important thing is that they are gathered in the name of the Lord Jesus. In so much of Jesus’ ministry he taught that the kingdom of God is ours to find–that it is there for the seekers; each on his or her own path. We believe that our Savior blesses all who come to our small church. We pray for continued support of the missions, ensuring a welcoming Christian presence for and with seekers around the world. And may we all, always and everywhere, allow Jesus to be visible through our small and even chance encounters. This story was originally published in Missionhurst Magazine. For the complete article, along with many others, check out Missionhurst Magazine. Want to support our missionary efforts around the world? Check out how you can make a difference!